Another view of the cemetery. 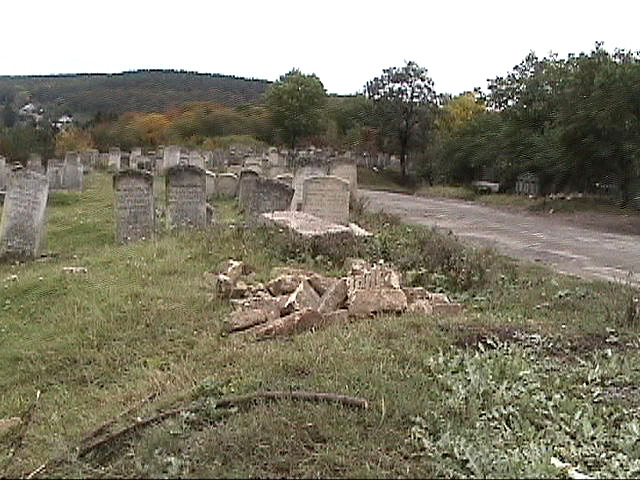 Note the broken pieces of gravestone in the foreground. These pieces had Hebrew inscriptions so they certainly came from some Jewish cemetery perhaps this one. The important point is that both Alex Dunai, who visited the cemetery three months earlier, and Peter Mashtalir, who lives in a house across the street from the cemetery, were quite certain that these stones had not been there earlier. They had recently appeared. This shows that the cemeteries are still being degraded and suggests the urgency of recording the information that is still available there.